MiRo-E was created by Consequential Robotics in association with leading universities and educationalists. Its aesthetic personality was designed by the award winning Sebastian Conran Associates studio, as a loveable companion robot platform with big potential. MiRo is the next generation of personal and companion robots that will go beyond mere gadgets, creating rewarding engagement for users. Being friendly and animal-like rather than human-like, people respond to MiRo with a different set of expectations that are more easily matched by today’s AI. Interacting with MiRo is a fun emotionally satisfying experience. Head to our Team page to see some of the faces behind MiRo-E! 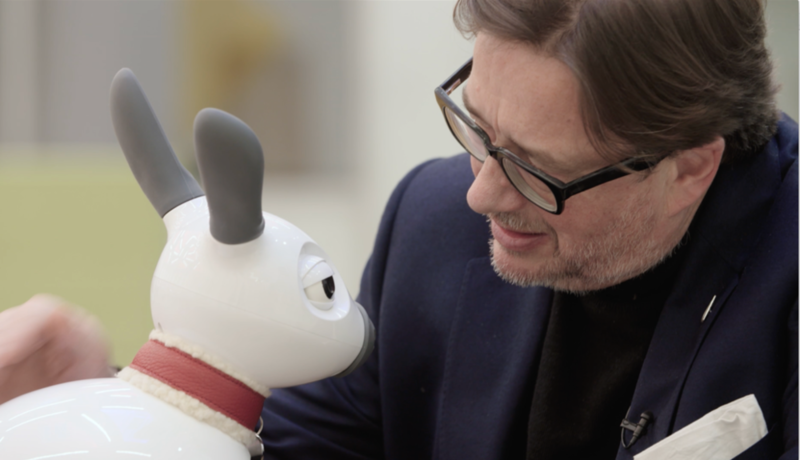 MiRo with Sebastian Conran, the founder of Sebastian Conran Associates & co founder of Consequential robotics. There is a wide-ranging suite of sensors including stereo vision, location hearing, ultrasonic ranging, light level sensors, infrared cliff sensors, tactile sensors on the body and head, and interceptive sensors such as twin accelerometers, joint position sensors (proprioception), temperature and battery-level sensors. There are 11 degrees of freedom - tail wagging and drooping, blinking, ear-rotation, head movements, coloured lights - which are well suited for expressive communication. It is also a physically fast and stable platform that works well on most smooth surfaces and has an excellent battery life up to 6+ hours between charges. MiRo-E is evolved for Education! MiRo-E provides unparalleled interaction with students and their environment, providing an opportunity to engage non-STEM minded students in the Digital Curriculum and has been proven to change the way learners view themselves in the context of STEM. The MiRo Educational Interface (MEI) works in two ways; one is cloud-based, via internet [such as CODIO], the other is installation-based. From the student point-of-view both solutions operate through a browser window so it’s a question of whether the user wishes to access the MEI via the internet or to have the software installed directly their computer. 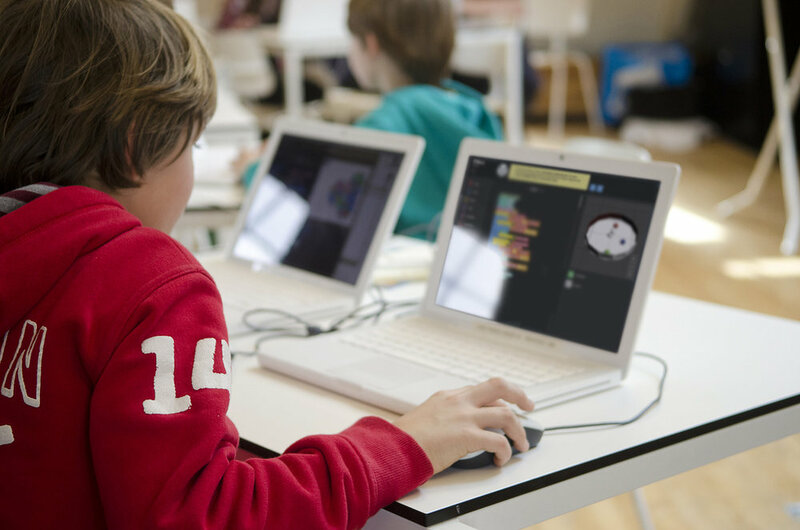 The user-friendly interface gives students a unique workspace to follow a curriculum or test their own code on a simulated MiRo. 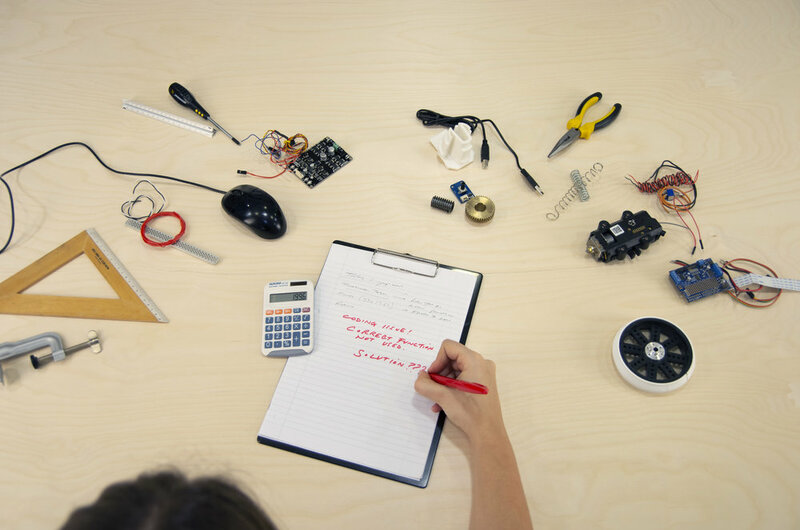 This can then be run within the physical robot, allowing several students to develop their own behaviours by using a mix of established text and block-based programming languages. MiRo-E's engaging pet-like personality stands out from other educational robots and immediately stimulates student's imaginations – whatever gender. They learn how to code, implementing their creative ideas through the highly featured platform. MiRo-E is an excellent classroom tool, including SEN and student emotional care. It can be used from P-12 and in various subjects to provide a well-balanced multi-level learning experience. Example modules help guide educators to develop learning materials encouraging teamworking. In the future social robots will share our personal space, interact with us and with each other to provide emotional engagement and entertainment. MiRo is a fully programmable autonomous robot for researchers, educators, developers and healthcare professionals. With six senses, eleven degrees of freedom, an innovative brain-inspired operating system and a simulation software package, MiRo is a flexible platform suited for developing companion robots. MiRo is based on the simple premise that animals have qualities that are desirable in today's social robots. They are robust, adaptable and good at communicating their feelings. Our approach is to build robots that think and operate very much like animals; from their senses and decision-making processes, all the way through to their bodies and behaviours. MiRo particularly suited to robot-human interaction and robot-robot team interaction. Like companion animals and pets, robots have the potential to sustain long-term social interactions, be engaging, and offer forms of spoken and physical comfort. Through their robotic functionality they can also support capabilities such as monitoring whilst requiring less care and support than pets.